Dr. Scientist pedals are designed and built by husband and wife team Ryan and Tanya Clarke, who live with their dog Little Miss in the Okanagan Valley of Canada. Ryan, a graduate of the Northern Alberta Institute of Technology's Electronics Engineering Technology program, designs the circuitry while Tanya, a graduate of NAIT's graphic sign arts program, designs the finishes. Ryan and his employees Mike and Neil build each and every pedal. Our pedals offer a higher level of control than can be found on any other pedal available in the known universe, while being intuitive and easy to use. 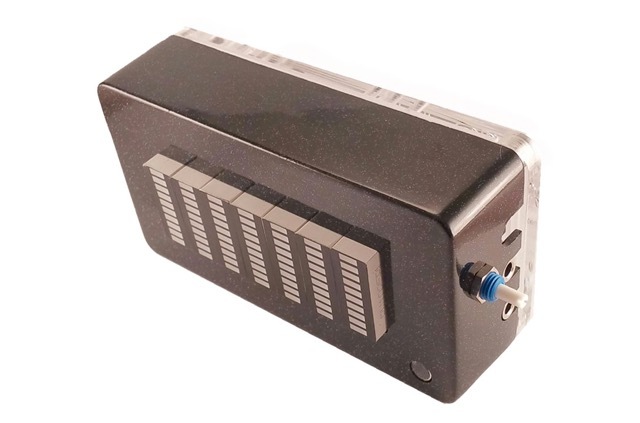 They're designed to work with all types of instruments, give you power over every single audible parameter, mix wet and dry signals and use CV. 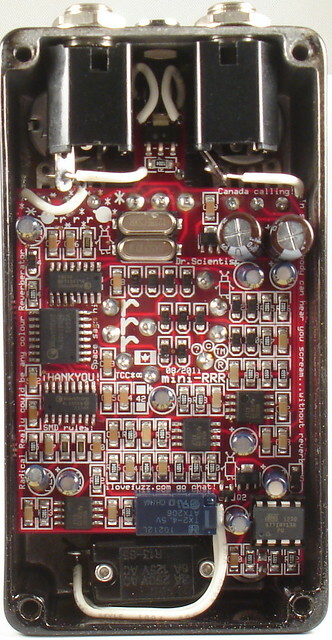 All but the Reverberator are fully analog, all the stereo pedals are true stereo—two signals in, two signals out. Dr. 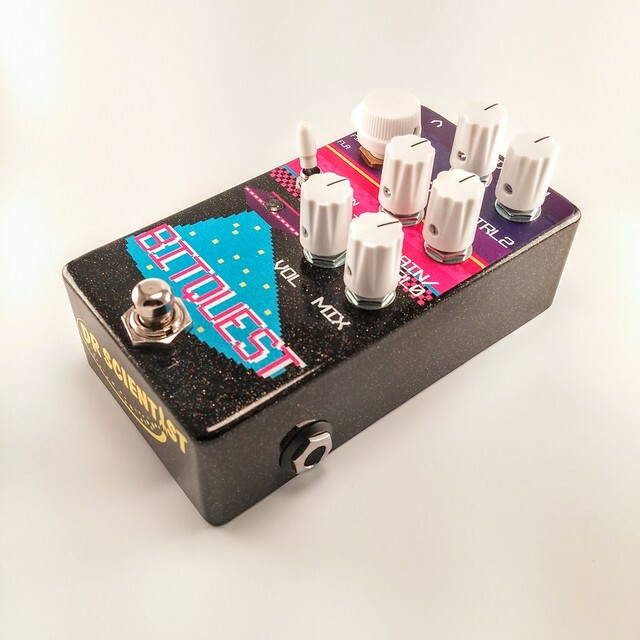 Scientist pedals let you create sounds that are unique to you. They're designed with the working musician in mind: top-mounted jacks save room on the pedal board, soft touch switches last a million on/off cycles without needing repair, out-of-this-world finishes mean that gear heads will envy you wherever you play. All that and we stand behind what we do: we offer a lifetime, fully-transferable, nearly-unlimited warranty. Dr. 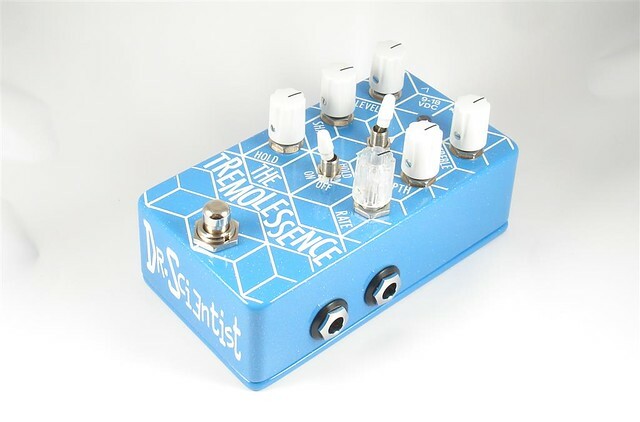 Scientist pedals are available at over dealers around the world. We're one of the few pedal companies where if you send an email you'll reach the guy who designs, builds and ships the product to you. So go ahead, get in touch. We really appreciate all of our customers and we'd love to hear from you. By the 24th century, nanobots have solved all of humanity’s problems, from the common cold to socks with sandals. 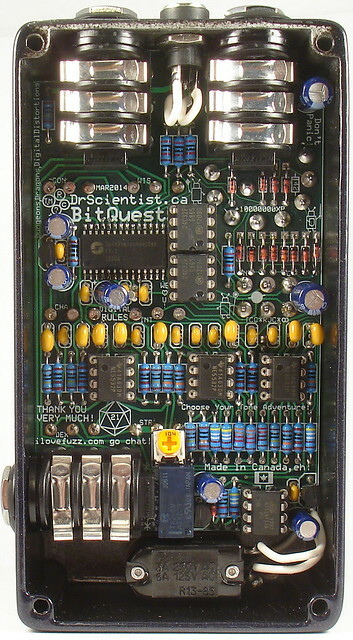 With billions of nanobots out of work, Dr. Scientist—with help from the National Research Council of Canada, the National Institute for Nanotechnology and the University of Alberta—developed a way to use nanotechnology to create a molecular junction, a new kind of diode that saturates in a slower, smoother, more pleasing way than conventional, silicon diodes. 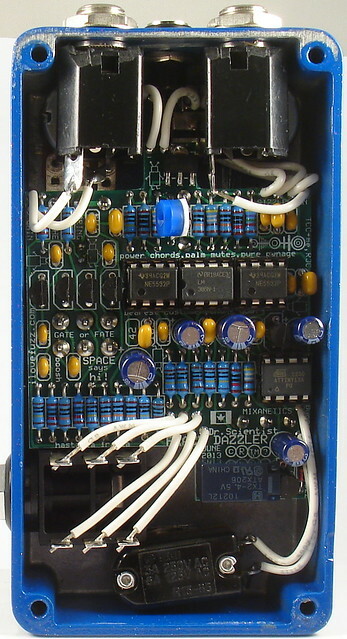 What resulted was a new kind of overdrive pedal, featuring three gain stages: a MOSFET booster, an NPN transistor fuzz and an opamp distortion. Audio In, Audio Through, TRS 1/8"
The gravity wells of the Alpha-9 quadrant are the universe's deepest, their ability to expand matter legendary throughout the stars as powerful and unyielding. It is from these gravity wells that Dr. 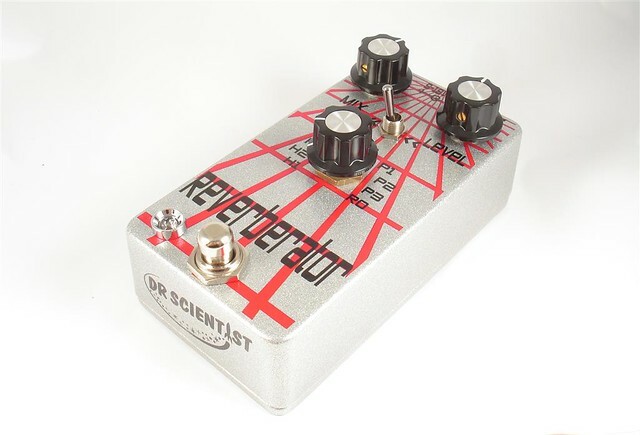 Scientist's Reverberator pedal takes its influence: with nine different reverb effects you can go from the deepest, wettest recesses of space to a tone-enhancing small room. 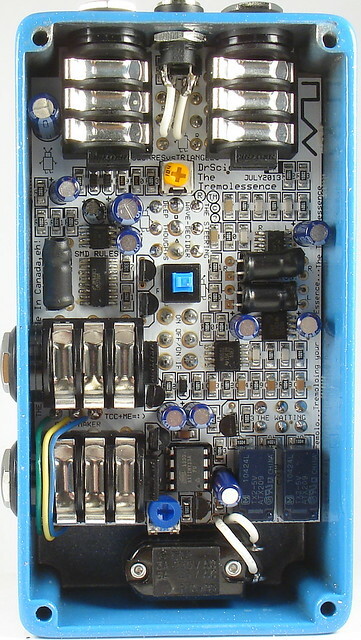 Use the mix knob to blend your wet, reverberating signal with your analog dry signal, control the gain and rate of decay, have control over all aspects of your tone. Don't be caught cruising the cosmos without this kind of power. In 2397, technology to traverse dimensions through black holes is widespread. 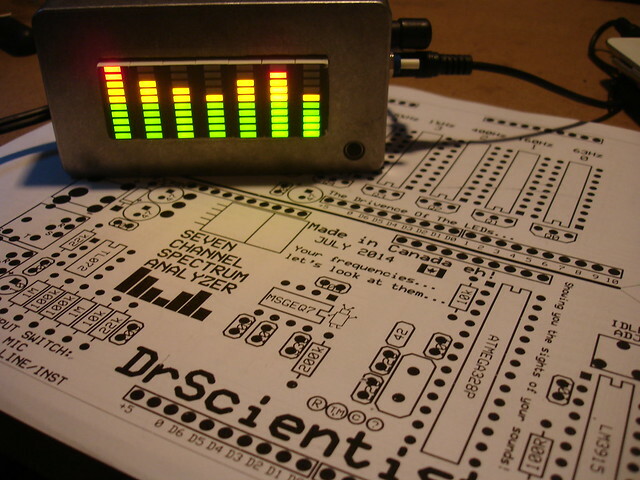 It involves using sound waves to disintegrate matter at the atomic level, only to reintegrate it later. Whether you're going for a subtle texturing or you want to whub-whub until your spaceship's very materiality begins to disintegrate, the Tremolessence is where to start. 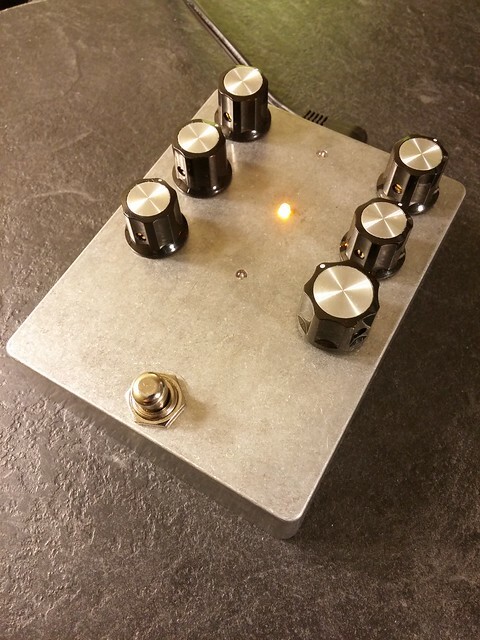 A true-stereo analog tremolo pedal, the Tremolessence offers a wide range of options to oscillate the hell out of your sound. 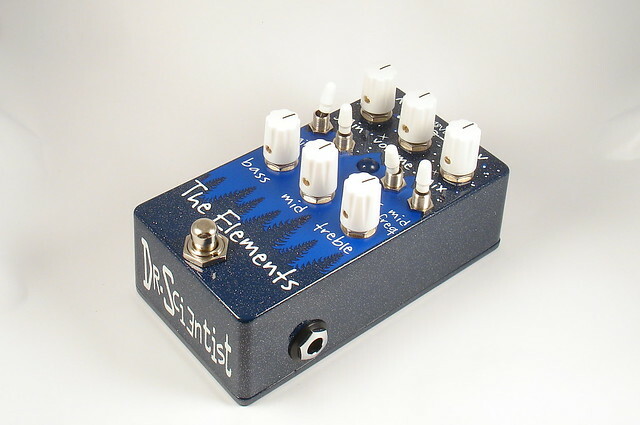 It lets you fine tune the rate of the tremolo, the depth, the shape of the waveform and even lets you pan the sound so that you can make your tone your own. 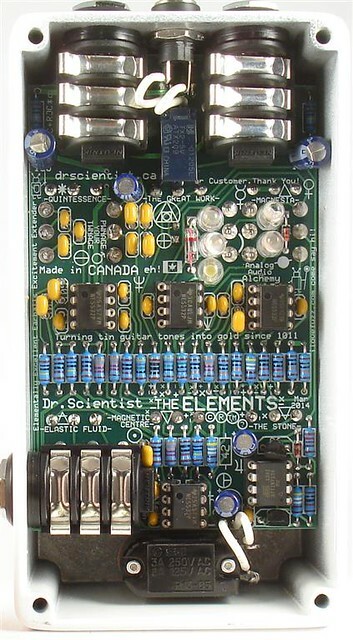 When you need to blow minds, the Tremolessence is the pedal for the job. In the outer recesses of space lays Zeta-6 quadrant's largest junkyard. Here, gravity-challenged junkers float about rubbing their rusted hulls together, while the sounds of these frictions reverberate into the worlds around them. 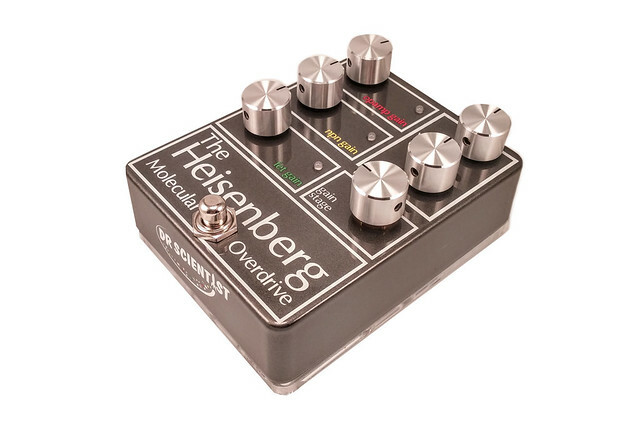 Want your tone to sound like two abandoned spaceships crashing in the vacuum of space, their oxidized wings gnashing together and disintegrating into dust? 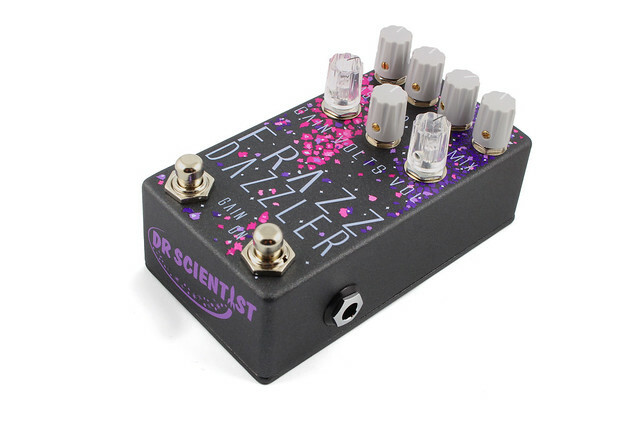 With a wide gain range, the Frazz Dazzler pedal will frazzle dazzle you with its mean-spirited and aggressive fuzz whether you play guitar, bass or an electronic instrument.